Aboard the Non-Local Express to Everywhere! 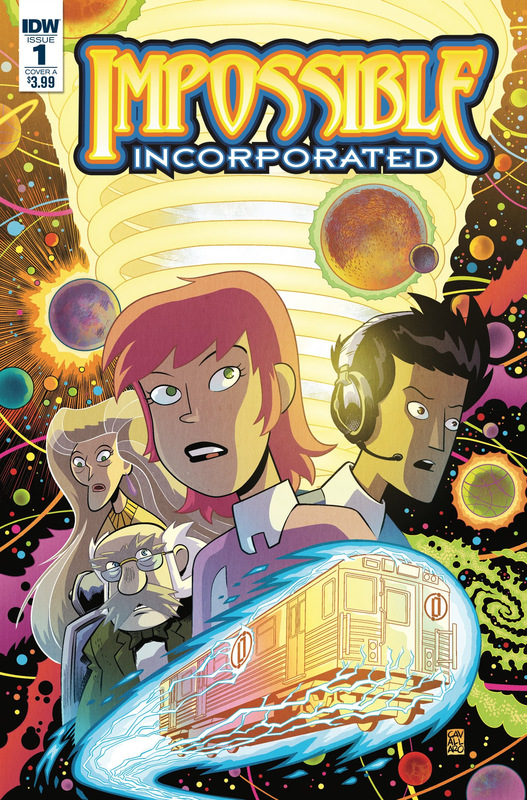 SAN DIEGO, CA (June 21, 2018) – IDW Publishing is proud to announce the September 2018 launch of Impossible, Incorporated, a five-issue comic book miniseries by J.M. DeMatteis (Justice League, Amazing Spider-Man) and Mike Cavallaro (The Life And Times Of Savior 28, Decelerate Blue). 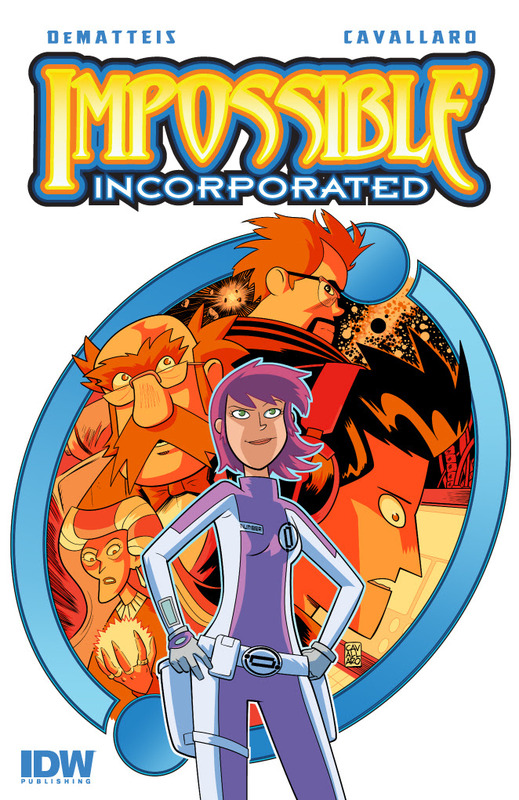 Impossible, Inc. is the story of a teenage girl who fearlessly travels through space and time, proving that the impossible isn’t a limitation – it’s an invitation! "I've been working in comics for over 25 years, and while J.M. and I have worked together before, the second that his next script arrives, I'm just that kid again in my local comic shop, going to school on how much more meaningful, and literate, and personal, and beautiful comics could be than almost anyone else bothered to make them at the time,” says Mike Cavallaro. “J.M.’s comics were what made me want to make comics for a living. And I'm not just talking about pay – I'm talking about the reasons we make art: to tell stories, ask questions, and explore what it means to be alive. It's a lifelong dream to play a part in the telling of a story like this. I love these characters and I'm as fascinated to see where they take us, as I hope readers will be." J. M. DeMatteis has written almost all of the major ​ DC and Marvel icons, perhaps most famously the classic Spider-Man: Kraven’s Last Hunt storyline and an Eisner Award-winning run on Justice League. His greatest acclaim has been attributed to his sophisticated original graphic novels, Seekers Into The Mystery, Blood: A Tale, The Last One, Mercy, the autobiographical Brooklyn Dreams (picked by the American Library Association as one of the Ten Best Graphic Novels), Moonshadow, the acclaimed children's fantasy Abadazad, The Life and Times of Savior 28, Imaginalis, and two Augusta Wind tales published by IDW. His success in the comic book medium has led DeMatteis to work in both television and movies, including the recent animated features Batman vs. Robin and Batman: Bad Blood and the CW Seed’s Constantine: City of Demons series. He teaches Imagination 101, a workshop exploring the practicalities and metaphysics of writing for comics, graphic novels, and animation. He's also the founder of Creation Point, a story consultation service that offers in-depth guidance for both the professional and aspiring writer. DeMatteis lives and works in upstate New York.